As you can see I've been trying to restore some order in the Universe. 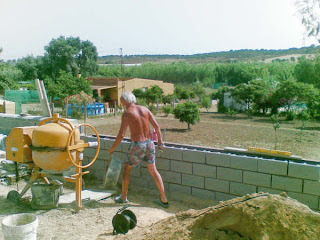 Building a wall around the villa, and in the process getting a bit of a tan between dips in the pool. The villa by the way is in the plot behind the wall (unseen to the right). 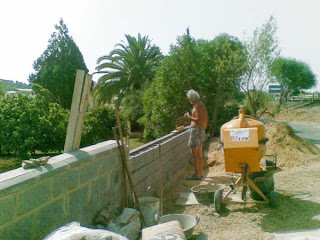 I'm standing outside the wall on the drive onto the main road.